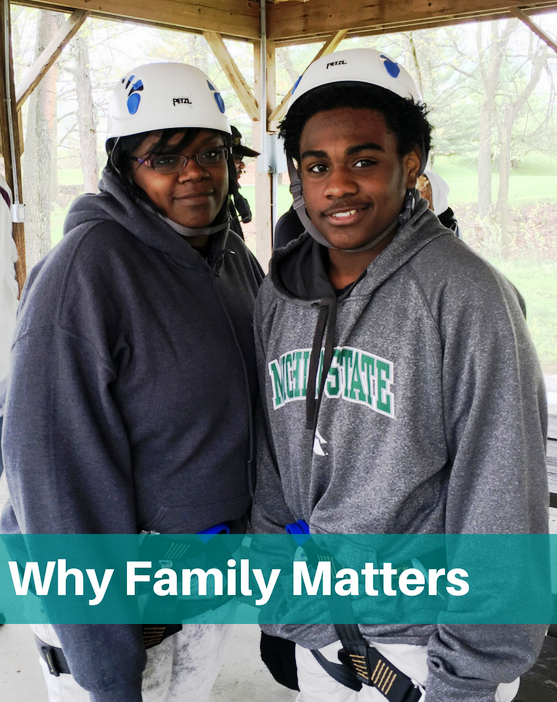 Why Family Matters | Highfields, Inc. Working with students and their families is critical for long-term success. "I don’t ever want to be in placement again, away from my family,” said student, James. It’s a feeling that most of the youth at Highfields share. They miss their home, and their loved ones. They’re trying to make a change, but it’s hard to do it alone. Robinson is focusing efforts on more family-driven care for youth at Highfields. Residential specific research shows improved outcomes with increased family involvement. Families and youth actively participating in treatment will have a greater chance of success when the youth returns home. Currently, students at Highfields have family time every other weekend. They are able to return home and spend time reconnecting with their families, and working on their communication skills. Students also have the freedom to call their parent or guardian at any time during treatment. During the summer, Family Treatment Weekends are held on campus. Families come together at Highfields to spend quality time together, make memories and have fun! It’s a great way to help parents and children take a break from the demands of every day life and focus on things they have in common with each other. Parents also receive training and support on how to navigate challenges with their children, and rebuild their family bond. Robinson is continuously looking for new ways to engage families throughout treatment. 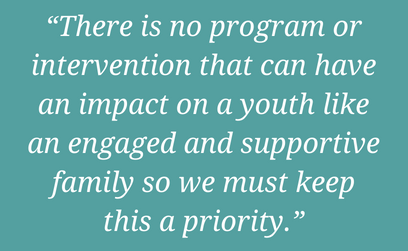 He believes it is essential to ensuring long-term positive outcomes for youth. “There is no program or intervention that can have an impact on a youth like an engaged and supportive family so we must keep this a priority,” said Robinson.